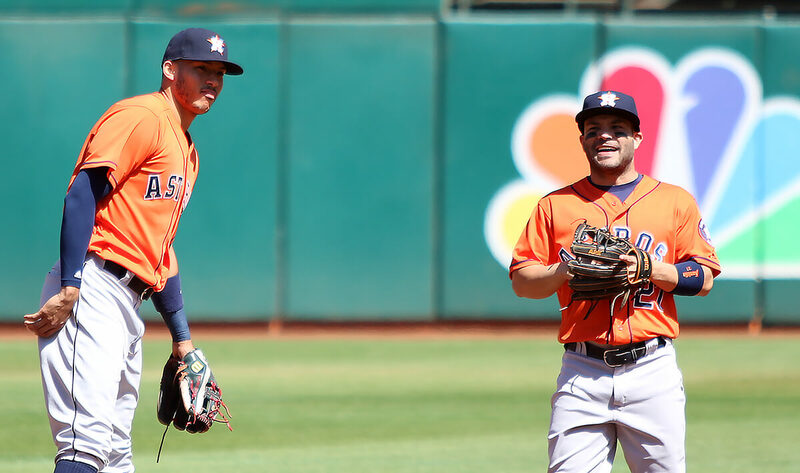 Jose Altuve’s game glove is one of our favorite gloves in baseball. The clean navy/orange colorway with the added flair of the laced “T-Web” is just enough swag without going overboard. 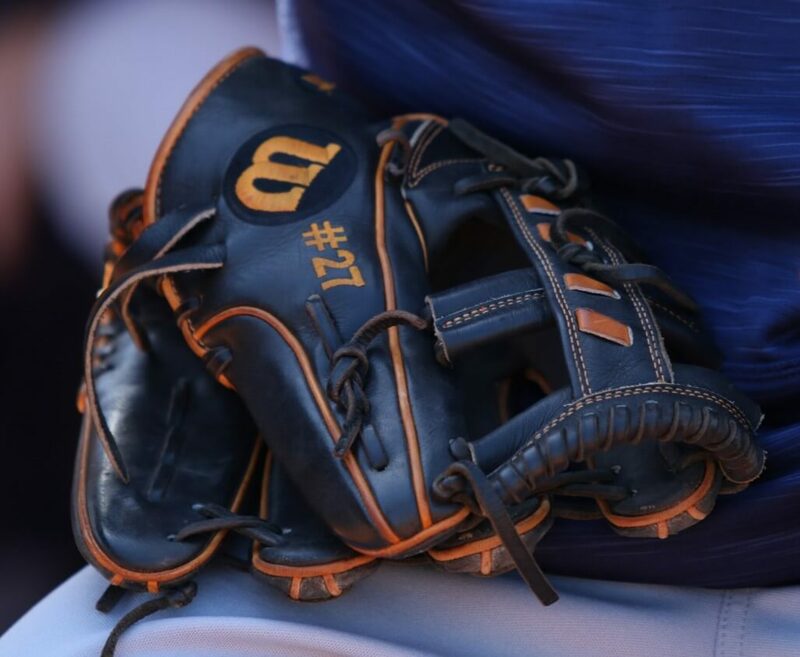 Just a beautiful glove for an unbelievable player. You’ll notice that there’s a split in the welting between the index and middle finger, which we suspect is made to make the pocket deeper for those who opt for two fingers in the pinky slot. 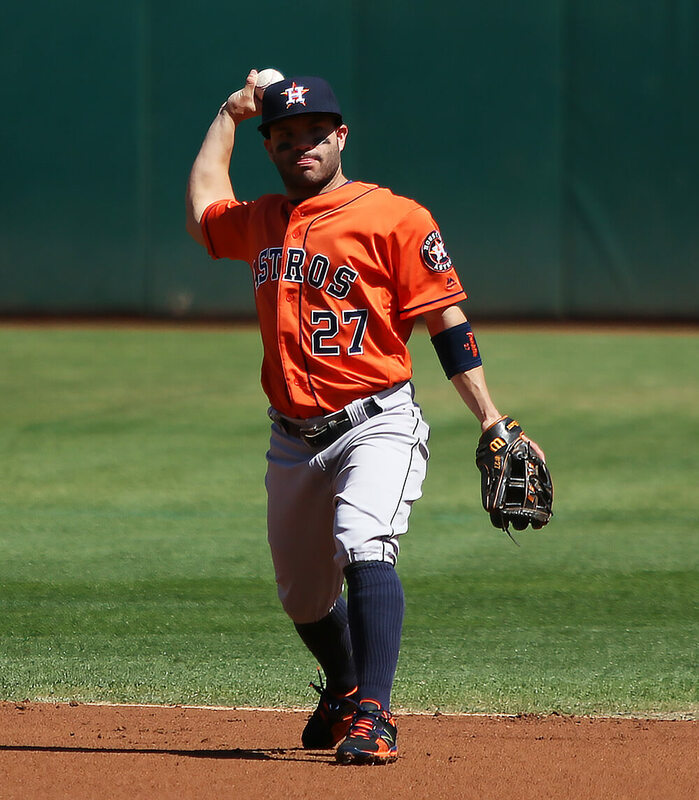 To our surprise, Altuve keeps his fingers in their standard slots (not two in the pinky), so he must prefer a shallower feel to the pocket. 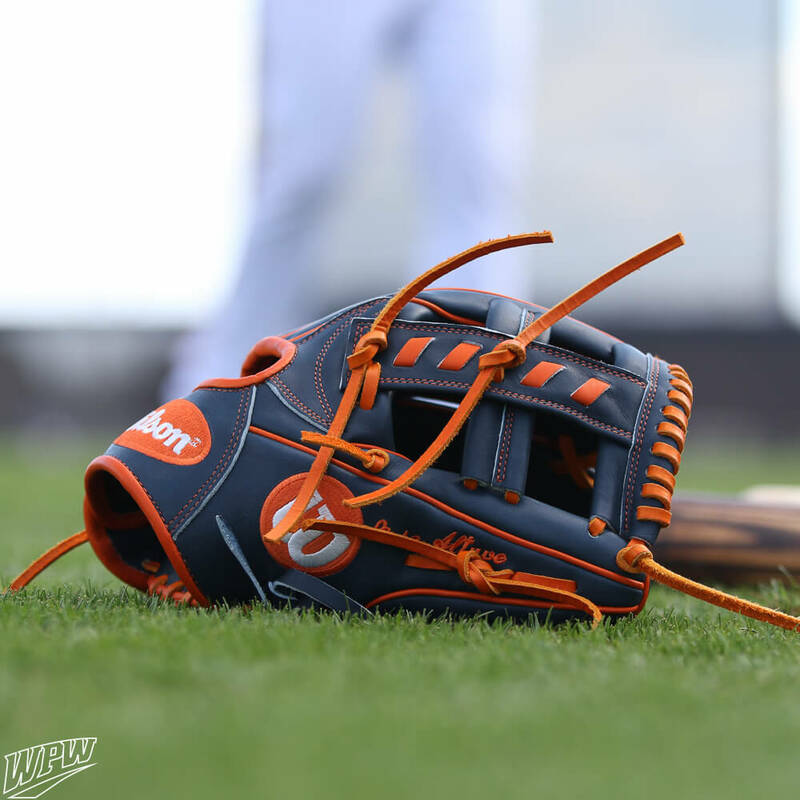 The most beautiful part about this glove is that its available to Altuve’s exact specs, and you can get it at the link (currently $208 while supplies last).